On September 22, 2008 Odell Brewing Company will release its Hand Picked Pale Ale. 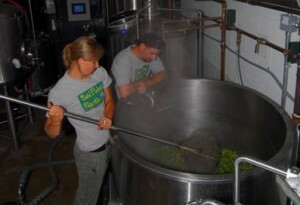 The beer, which was brewed for the third year, features whole hops all grown in Colorado. Colorado State University graduate student Ali Hamm and Odell Brewing brewers joined forces again to brew the beer. Ali, who is researching organic hop viability in Colorado, harvested some of her own hops for the brew. Brewed on Odell’s five barrel pilot brewing system, the Hand Picked Pale Ale was brewed with over twenty two pounds of dry and wet fresh Colorado hops. 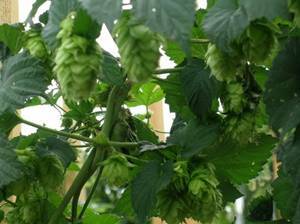 Varieties used include Chinook hops from Colorado’s Western slope, Red Vine and Nugget hops from Ali’s crop, and Cascade hops from the brewery’s own front door. Odell Brewing will celebrate the release of the Hand Picked Pale Ale with a tapping party on September 22, 2008 from 4 – 6 p.m. at the brewery’s tap room. Odell Brewing is a proud sponsor of the Cicerone Certification program and an award winning brewery, nationally and internationally:2008 North American Beer Awards – gold medal for 5 Barrel Pale Ale. 2008 World Beer Cup® – gold medal for IPA, silver medal for Double Pilsner, silver medal for Cutthroat Porter. 2007 Great American Beer Festival® – gold medal for IPA, silver medal for Easy Street Wheat, bronze medal for Extra Special Red. 2007 Stockholm International Beer Festival – bronze medal for 5 Barrel Pale Ale. 2007 Australian International Beer Awards – silver medal for 90 Shilling, silver medal for Cutthroat Porter, silver medal for Easy Street Wheat and bronze medal for 5 Barrel Pale Ale.